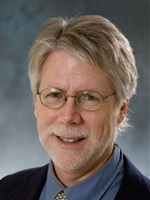 Dr. Westerholm taught at the University of Connecticut and the State University of New York at Cortland before joining Northwestern's faculty. He researches and writes on the intersection of Victorian religion and poetry, especially that of Christina Rossetti. He has also published on literary theory, and on the poetry of the Caribbean Nobel-Prize-winning Derek Walcott. Dr. Westerholm plays guitar, gives lessons, and helps lead Taize worship services once a month. “Christina Rossetti’s ‘Wounded Speech.’” Literature and Theology, vol.24, no. 4 (December 2010): 345-359. “’And Have Not Charity’: New Testament Ethics and the Caribbean Poet.” The Strategic Smorgasbord of Post-Modernity: Literature and the Christian Critic, edited by Deborah Bowen. Cambridge: Cambridge Scholars Press, 2007. “Centers, Margins, and the Christian Scholar: A Discussion with Jacques Derrida.” In Bowen. "In Defense of Verses: The Aesthetic and Reputation of Christina Rossetti's Late Poetry." Renascence, LI, No. 3 (Spring 1999):191-203. "'I Magnify Mine Office': Christina Rossetti's Claims of Authority in her Devotional Prose." Victorian Newsletter, 84, (Fall, 1993): 11-17. “Religious Experience and English Poetry, 1633-1985,” an N. E. H. seminar at the University of Notre Dame, June 20-July 22, 2005. “Post-Colonial Literature and Theory,” an N. E. H. institute at the School for Oriental and African Studies, the University of London, June 29-August 8, 1998. "Culture and Society in Victorian England," an N.E.H. institute sponsored by Yale University and the Yale Center for British Art, July, 1991.